There is a tendency in this age to throw doctrinal truth into the shade. Too many preachers are offended with that stern truth which the Covenanters held, and to which the Puritans testified in the midst of a licentious age. 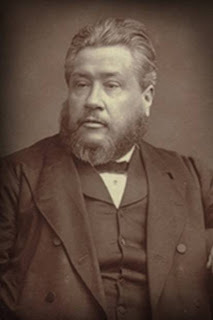 We are told that the times have changed, that we are to modify these old (so-called) Calvinistic doctrines, and bring them down to the tones of the times; that, in fact, they need dilution, that men have become so intelligent that we must pare off the angles of our religion, and make the square into a circle by rounding off the most prominent edges. Any man who does this, so far as my judgment goes, does not declare all the counsel of God. The faithful minister must be plain, simple, pointed with regard to these doctrines. There must be no dispute about whether he believes them or not. He must so preach them that his hearers will know whether he preaches a scheme of free-will, or a covenant of grace—whether he teaches salvation by works, or salvation by the power and grace of God. From Spurgeon’s Autobiography, Volume I, p. 536.